What do the America’s Cup monohull concept and the new Volvo Ocean Race yacht concept have in common? The same naval architect, Guillaume Verdier. 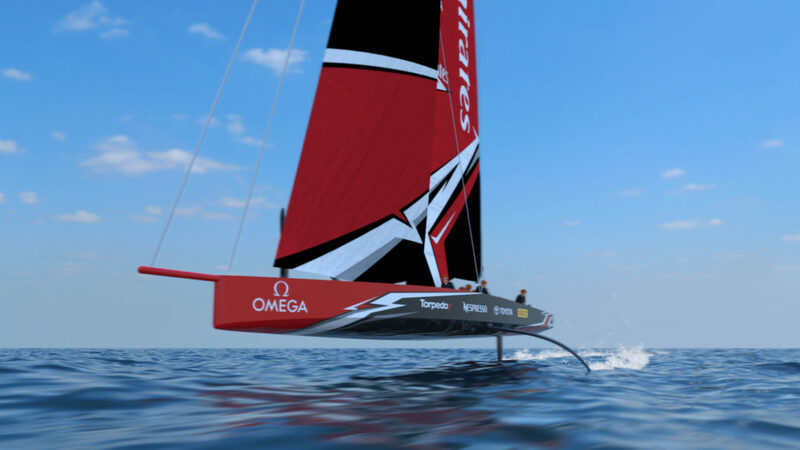 He is the one that is designing the new foiling VOR and the one that is mostly responsible for the new monohull concept for the new America’s Cup Monohull. Verdier was also a prominent member of the Team New Zealand’s America’s Cup catamaran design team and probably had a significant role on NZ beating so clearly the American boat (Oracle), even if the budget from Oracle was vastly superior. When that incredible type of monohull was announced for the next America’s Cup, I was surprised with the concept, but most of all surprised how the practicality of such a radical concept could have been studied in such a short time. I confess that I had some doubts about that; it seemed impossible to me. What I did not know was that Verdier had already made, for a NZ client, a design of a 39-foot sailing boat that worked in a similar way. The boat was never built but all the studies and simulations regarding stability were already done. This explains how it was possible to propose such a radical working concept so fast, and how this background will give NZ team a good head start in regards to the design of their America’s Cup monohull. It is strange Verdier remains relatively unknown to many sailors to whom the names of Farr, Finot or Marc Lombard are very familiar, especially to American sailors. 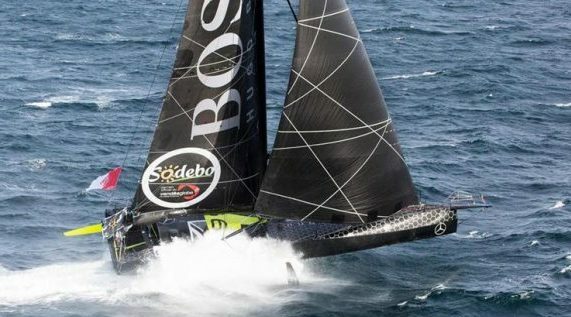 However, he is very well known to those that are familiarized with top offshore racing, where his designs dominate – monohulls and multihulls alike. He studied naval architecture at the University of Southampton, the most renowned school of yacht design and they awarded him last year with the honorary Doctor of Technology degree, a significant achievement which typically comes later in the life to honor exceptional work in the field. However, Verdier is only 47 and probably his best achievements are yet to come. Not to say that he has not yet made a huge contribution to sailing development…quite the contrary. He started his career as a young Naval Architect, more than 20 years ago, working with some of the best, namely Finot/Conq. On their cabinet he contributed to the design of several winning IMOCA racers, two of them won the Vendee Globe, namely Christophe Auguin’s Geodis (won the 1996/1997 edition) and on PRB 3 the only IMOCA that has managed to win twice the Vendee Globe – the 2000/2001 with Michel Desjoyeaux and in 2004/2005 with Vincent Riou. More recently he has collaborated with VPLP design (since 2006) and he continued designing winning IMOCA boats to a point that all top racers wanted their boats designed by him, leaving on the shadow names like Farr, Finot/Conq, Marc Lombard or JK. All the boats that finished on the top places on the last Vendee Globe were designed by him, in collaboration with VPLP. He is the designer of the fastest monohull, the 100-foot Comanche, and also some of the fastest multihulls, including the 32m trimarans Gitana 17 and Banque Populaire 9. But his talent was not only used to design big or very expensive racers. There are Mini 6.5s and C Class catamarans in his portfolio. Guillaume Verdier is leading sailing developments to new frontiers and it’s a name that all that like sailing and sailing boats should know. This post is my modest contribution to that. I am sure that he will continue to develop flying boats and winning boats to all offshore racing classes; I just hope someday he applies his talent on the problem of designing better and faster performance cruisers.